Currently the United Kingdom is due to leave the EU on the 29 March 2019 at 11pm UTC (midnight Central European Time). The Government has been preparing for any outcome from EU exit negotiations and has been implementing a programme of work to ensure the UK will be ready from day one in all scenarios, including a potential ‘no deal’ outcome in March 2019. 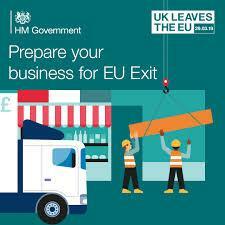 The Government has designed a step-by-step guide and an information pack to help businesses prepare for EU exit and the potential 'no deal' scenario. The following links focus on different business sectors providing information that focuses on changes related to the border processes.